Invotra proudly took part in the 11th National Apprenticeship Week (NAW 2018) from 5 to 9 March 2018 which had the theme ‘Apprenticeships Work’. During the week our current and previous apprentices represented Invotra in celebrating the success of apprenticeships and encouraging others to choose apprenticeships. If you have any questions about these events, or any feedback for us, get in touch through our social media outlets tagging us at #invotra and #NAW2018. Our apprenticeship ‘bites’ below are available to help you get an understanding of exactly what an apprenticeship can offer both an apprentice and an employer. You can also read more about how our apprentices thrive in our ‘Meet our Apprentices‘ page. As part of National Apprenticeship Week, Invotra, in conjunction with Digital Leaders, hosted a salon in Newcastle which discussed the growing importance of apprenticeships in the development and retraining of skilled people in the North East digital workforce. The salon was lead by a host of discussants, including Alison Galvin, HR Director at Invotra. They discussed how apprenticeships are making a real difference to the lives of apprentices by investing in their future and in return, how apprentices are helping employers to develop a skilled, qualified workforce to build a stronger economy. 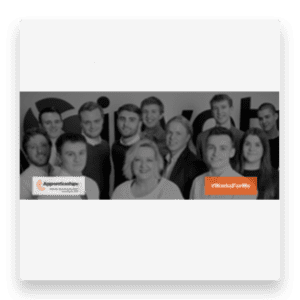 This webinar was led by Ross Blythe, an apprenticeship account manager at Invotra who talks about the exciting new challenges and objectives he faces as an apprentice, focusing on how beneficial apprenticeships can be to your overall character both in and out of the work environment. The webinar consists of a 30-minute presentation followed by a 30 minute interactive Q&A. See the webinar recording here. Our experience as apprentice employers, as current apprentices and as ex-apprentices has allowed us to offer advice and guidance to other companies and individuals considering taking part in the apprenticeship scheme themselves. We have put together a few ‘bite-size’ videos to answer some key questions you may have about apprentices. If you’d like to know even more, our YouTube channel contains longer apprenticeship videos, or our apprenticeship case studies offers an insight into life as an Invotra apprentice and the opportunities this brings. Apprenticeships are at the very heart of Invotra. Most who are in an apprenticeships scheme know university isn’t for them; the thought of racking up a lifetime debt from a course that they may not even pass doesn’t sit well. Some are never the academic type and despite the promise of freshers week and other social events, university life is not for them. 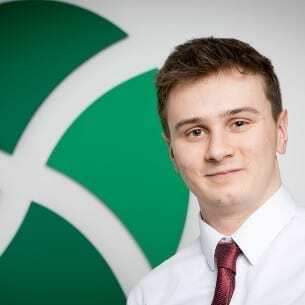 Hear from Ross Blythe, Apprentice Account Manager on his experience as an Invotra apprentice. Opportunities to learn about and understand the huge variety of options out there, apart from studying at university, are not always available. It’s amazing to think that a £2.8bn government backed foundation is scarcely advertised to both secondary school and college students, not providing the necessary knowledge and tools for young people to find other paths to university. To help you understand the career options available listen to Jamie Garrett, our Key Accounts Manager explain how his experiences as an apprentice at Invotra has helped shape his career. Last but by no means least, hear from Andrew Doyle, our Accessibility Product Manager on his journey as an apprentice. Andrew has been so successful in his career that he has been recognised, not only regionally but nationally as the National Apprentice of the Year, at the SME National Business Awards for his work in accessibility.